This paper places Johan Callmer’s seminal chronology of Viking-Age beads in the broader contexts of subsequent research. It begins with an examination of how Callmer’s chronology of grave goods can be linked into preceding chronologies from the cemeteries of late Iron-Age Bornholm and mainland Sweden (ca. 540-860). It then considers how these chronologies compare with those available from the early Scandinavian emporium at Ribe, a site of bead production and trade (ca. 700-850). Finally, it provides a detailed analysis of Callmer’s classification system and the implications of his chronological framework (ca. 800-1000 A.D.). 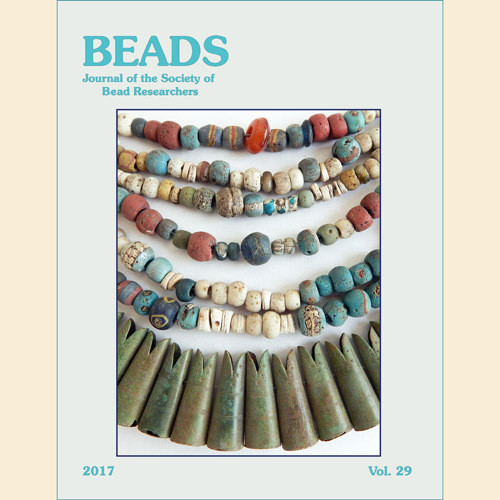 Comparing these diverse chronologies reveals divergent patterns of bead use, enriching our understanding of how individuals, communities, and networks connected with each other through beads in the late Iron Age and the early Viking Age. Previous analyses of the elemental composition of white glass beads have shown that the opacifier used during glass manufacture is temporally diagnostic, with a transition from tin to antimony to arsenic to fluorine. To date, most researchers using this fact for chronological purposes have focused on British, Dutch, and French contact sites in the northeastern United States and Canada. Many of these studies have relied on expensive, and sometimes minimally destructive, techniques. X-ray fluorescence spectrometry is a widely available, non-destructive technique that can be used to identify glass opacifiers extremely rapidly and inexpensively. This technique was used to analyze 783 specimens of four varieties of drawn white glass beads from burial contexts at Mission Santa Catalina de Guale, Georgia, demonstrating that the “opacifer-dating” method is also applicable to Spanish colonial sites in the southeastern United States. Intricate cloisonné beads in Japan track the 19th-century upheavals in technological development and society. While late Edo Japan had developed its own aesthetic based upon Chinese sources, the Meiji quest for Western technology produced a uniquely Japanese cloisonné industry unmatched elsewhere in the world. Cloisonné beads mirror this change, beginning in the 1830s with decorative motifs derived from Ming cloisonné and Edo glass beads, and morphing throughout the Meiji era into tiny masterpieces demonstrating a uniquely Japanese art form captured in advanced enamel technology. For centuries China has exported its products around the world. Chinese export porcelain, silverware, lacquerware, glassware, furnishings, textiles, and paintings have been documented in countless publications. Other categories are less well documented. Thanks to Peter Francis and other researchers, we know that China has been exporting glass beads for centuries as well. Little is known about Chinese export beadwork, a category that did not formally exist until 2007, when Hwei-Fe’n Cheah hypothesized that, in the late 19th or early 20th century, China exported beadwork to Southeast Asia’s Peranakan Chinese market. Here I expand the scope of this emerging field of research by first exploring possible historical precedents dating to the Ming (1368-1644) and early Qing (1644-1911) dynasties and then discussing seven examples of Chinese export beadwork found in Europe and North America. Most of the pieces feature glass beads. Where possible, the results of chemical compositional analysis are provided. Five of the pieces are marked “China” or “Made in China” which establish a definitive origin. Glass bead sample cards were sent out in the 19th century by bead dealers and producers to illustrate their products and few are known that include small beads of drawn manufacture. One such card marked New York was acquired in 1882 by Captain Eli Lindesmith, a Catholic priest and Army chaplain at Fort Keogh, Montana. Lindesmith used the card to select seed beads for a cradleboard he commissioned that year from a Cheyenne woman named Flying Woman, the wife of Wolf Voice. This previously undescribed sample card is compared to other 19th-century cards displaying drawn beads in an attempt to determine its origin. Insight into the identity and family history of the maker of the cradleboard is also provided. All issues of Beads are available through our back issues section. CLICK HERE to view a list of the available issues. Most are for sale and a select few are a complimentary download. 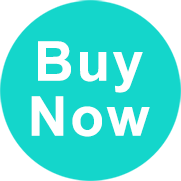 The links for each issue resolve to an individual page that gives a detailed description of its contents along with a button to purchase or download the issue as complimentary.